Two Christmas traditions that most locals Santa Barbarians will know about happen every Christmas at the El Presidio: Una Noche de Las Posadas and La Pastorela. Songs, refreshments and activities for the kids are some of the fun happenings at these events. La Pastorela is the tale of the shepherds journey to Bethlehem to witness the birth of Christ. Una Noche de Las Posadas commemorates Mary and Joseph’s journey from Nazareth to Bethlehem. There is a performance (entirely in Spanish). And, it is held at one of Santa Barbara’s oldest buildings. This year the performance is on Friday, December 16th at 7:00 PM. For more information on attending this special holiday production, call (805)965-0093. 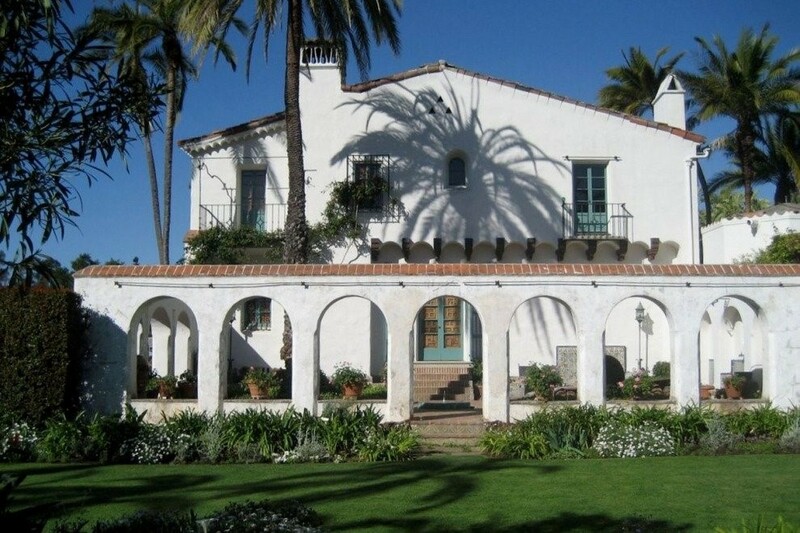 The Casa Del Herrero is a beautiful Montecito home that was built in the 1930’s. A Spanish Colonial Revival home, its name meaning “house of blacksmith” pays tribute to the owners’ machinery industry. Owners George and Carrie Steedman and a host of architects, designers and horticulturists are all behind this beauty. 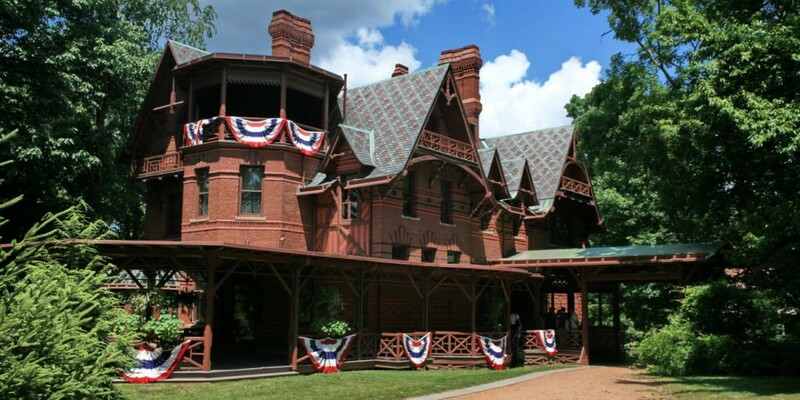 There are several dates in December where the public can visit the house when it’s dressed up for the holiday season, but, reservations must be made in advance. This is the place to go if you want to see The Nutcracker Ballet, a Christmas tradition for some. And, for local Santa Barbarians, this is our place to go just for that! 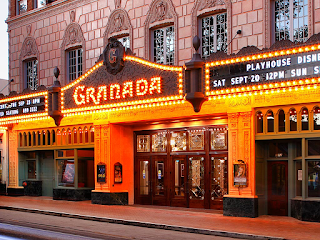 This venue is one of Santa Barbara’s most beautiful performing arts venues, with over 1,500 seats. 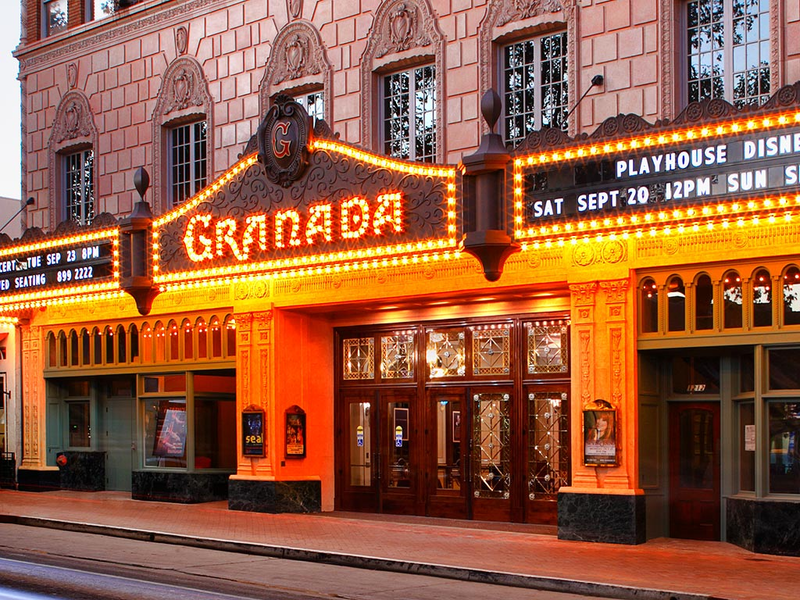 The Granada Theater was built in 1924 and went through a dramatic restoration in 2008. Visit their website for a complete list of the upcoming shows to catch at this beautiful theater! The last venue is beautiful, but there’s a reason we put this at the spot in front. This venue is absolutely gorgeous! They also have an annual Nutcracker Ballet but with a live symphony orchestra. This beautiful piece of architecture was built in 1931, part of the Spanish Revival architecture time. 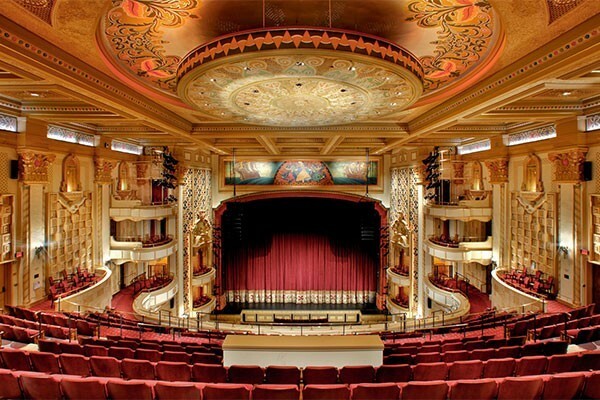 You will not be disappointed if you choose this place to see the Nutcracker this year! Every December, Santa Barbara’s local ice skating venue puts on a fun holiday ice skating show! Check out their facebook page to get a list of dates and to stay up to date on their upcoming events. Want to ride around the city and see all the awesome Christmas lights?! YES! 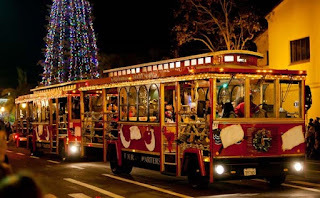 And, ride a trolley, sipping cider while you do it?! YES YES YES! Where do I sign up?! This is a 90-minute ride on an open-aired trolley. The only problem is that is usually sells out every year around October so you have to really be prepared for this fun-filled night! 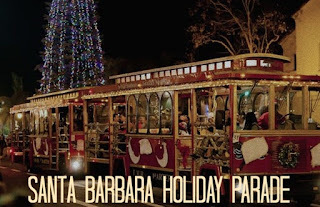 Want to see the BEST Christmas lights in Santa Barbara? 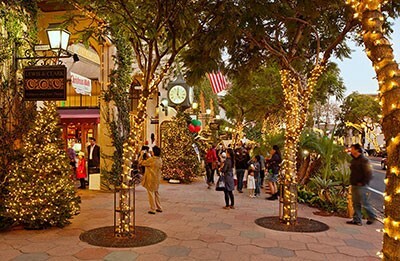 The MOST lights in Santa Barbara? This is the house to visit! 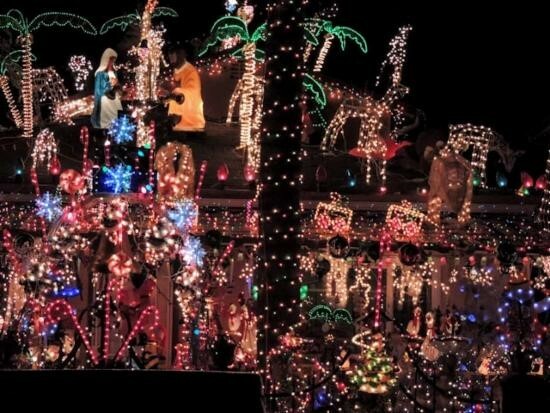 Local man, Peter Estrada, draws a crowd to his house year after year. And, once you visit, you will see why! 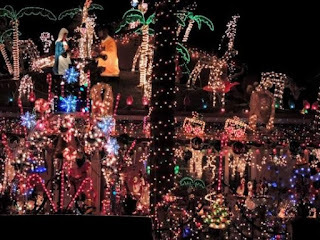 He lights up the entire east side with the lights on his house. This isn’t just a parade. It’s a BOAT parade! A boat parade with lights and fireworks! 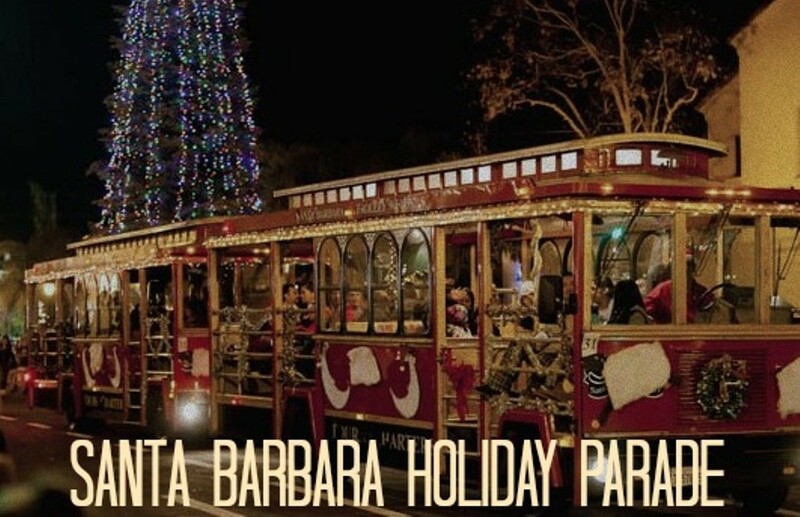 This is an annual tradition in Santa Barbara and is preceded by Santa’s Village activity on the City Pier in the Harbor starting around 3pm. 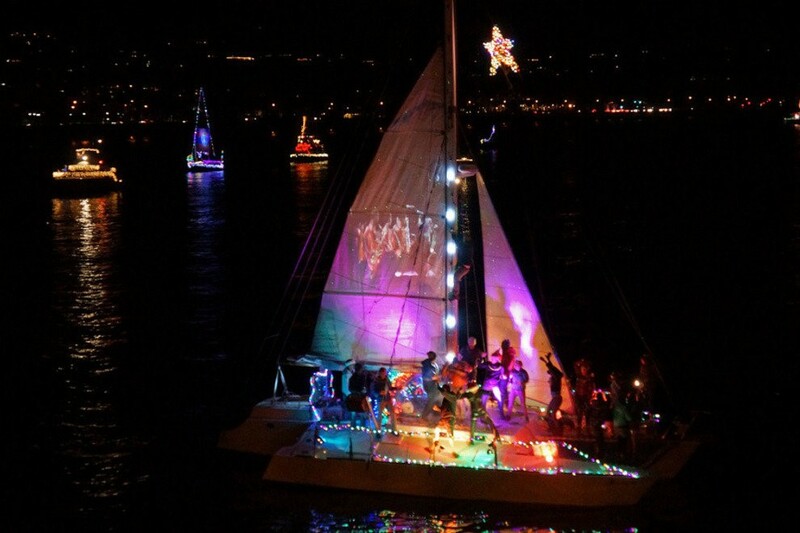 Around 5:30PM is when the boat parade begins with dozens of boats competing to win prizes. Admission is free and it’s not a bad view either! For over 60 years, this parade has been a local favorite event to welcome us into the Christmas season! Always the week after Thanksgiving, this parade is the only evening street parade of the year. At the end, you will be greeted by Santa Clause himself and all the kids will be cheery and bright! The Wrigley Mansion was built in 1932 by chewing gum personality William Wrigley Jr. William Wrigley Jr. designed this house as a 50th anniversary gift for his wife. 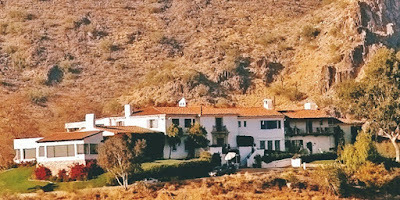 The mansion sits on top of a hill and has gorgeous 360-degree views of the mountains and the city below. Georgie and Jamie Hormel purchased the property in 1992 and they restored it with the intention of sharing its magic with everyone. Today Wrigley Mansion is a popular destination for weddings and special events, as well as the popular restaurant Geordie’s Steak restaurant and lounge. 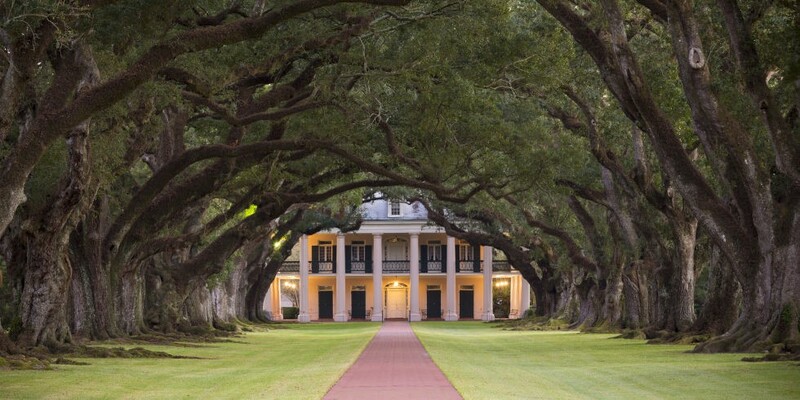 In 1830 Valcour Aime, known as the “King of Sugar”, purchased the land that Oak Alley Plantation now sits on. In 1836, Valcour Aime exchanged this piece of property with his brother-in-law Jacques Telesphore Roman for a plantation owned by Roman. By 1837, Jacques Roman began building the present mansion under the oversight of George Swainy and entirely with enslaved labor. They completed the mansion in 1839. There have been several owners throughout the years, as most of them could not afford the cost of upkeep. Josephine Stewart was the last owner to olive in the residence. She left the house and grounds to the Oak Alley Foundation when she died in 1972, which opened the plantation up to the public. The Robert Frost farm is in Derry, New Hampshire that Robert Frost lived in from 1900 to 1911. 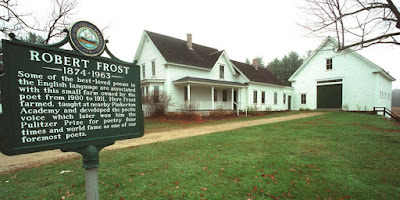 The majority of poems in his first two books were written here. The property was declared a National Historic Landmark in 1968. The property is a New Hampshire State Park and is open to the public seasonally. 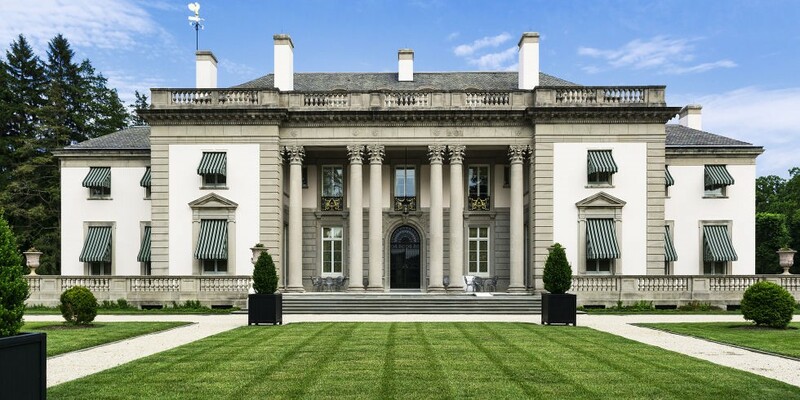 Otto Hermann Kahn built Oheka Castle in the middle of a 443-acre plot on the highest point on Long Island in Cold Spring Harbor, for an estimated $11 million. 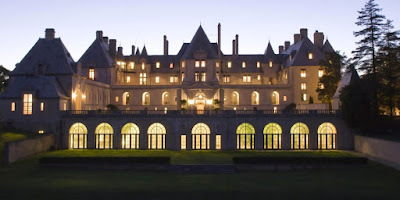 The French-style chateau is the second largest private residence ever built in America. The 109,000 square foot home consists of 127 rooms. Developer Gary Melius purchased Oheka in 1984 with the intent of restoring the Castle to its original grandeur. After $30 million in restoration, the Castle is nearly fully restored. In 1934, President Franklin D. Roosevelt created The Dyess Colony to aid in the nation’s economic recovery from the Great Depression. The community provided a fresh start for nearly 500 impoverished Arkansas farm families, including the family of music legend Johnny Cash. The colony has been restored and opened to visitors in August 2014. 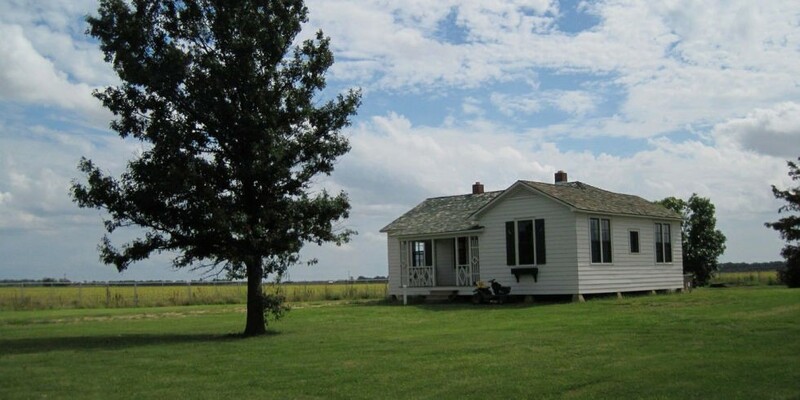 Johnny Cash’s boyhood home is furnished as it was when the Cash family lived there. Tours are given Mondays through Saturdays. Samuel Clemens (aka Mark Twain) and Olivia “Livy” Clemens hired New York architect Edward Tuckerman Potter to design their house on Farmington Avenue in Hartford, Connecticut. Construction began in August 1873 and the family moved into the house on September 19, 1874. Twain wrote, “To us, our house…had a heart, and a soul, and eyes to see us with; and approvals and solicitudes and deep sympathies; it was of us, and we were in its confidence and lived in its grace and in the peace of its benediction.” Financial problems forced the Clemens to move to Europe in 1891. The family never lived in Hartford again. Alfred I. DuPont was an American industrialist, financier, and philanthropist. In 1907 Alfred married Alicia, his second wife. He loved showering her with grandiose gifts and one gift being the spectacular new house that he built for her on a 3,000-acre plot of land in Wilmington, Delaware. They named the estate Nemours after the French town that his great-great-grandfather represented in the French Estates General. 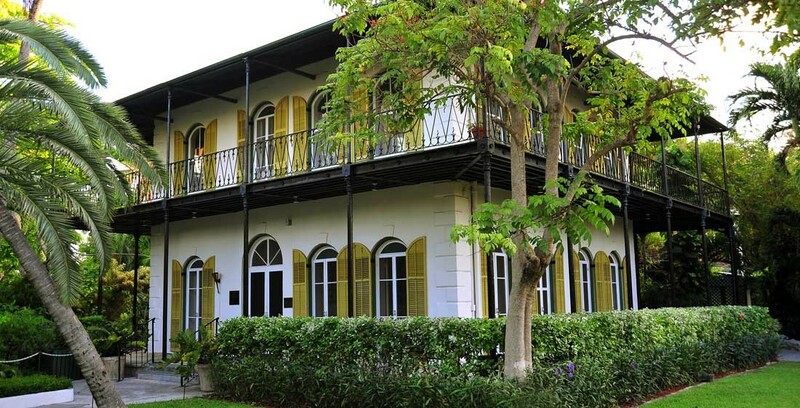 Ernest Hemingway purchased the Key West home in 1931 for $8,000 in back taxes from the City of Key West. It still contains the furniture that he and his family used. The cats that live on the property are descendants of the cats he had while he lived in the house. The house is built from limestone that was excavated directly from the ground beneath. It is believed that the stone was all hand cut since there were no power tools available at that time. Today the house serves as a museum. 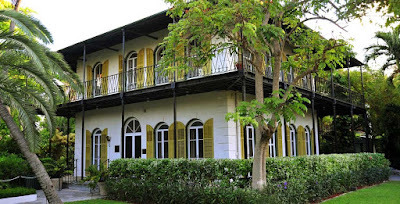 The estate still remains to be the single largest residential property on the island of Key West. George Vanderbilt began construction on his 250-room French Renaissance chateau in 1889. Taking over six years to complete, the Biltmore House is the largest undertaking in residential architecture. In 1895, Vanderbilt opens Biltmore to friends and family. The finished home contains over four acres of floor space, including 35 bedrooms, 43 bathrooms, and 65 fireplaces. The estate attracts almost 1 million visitors each year and was designated a National Historic Landmark in 1964. In the spring of 1957, at the age of just 22, Elvis Presley purchased Graceland for just over $100,000. When Elvis purchased Graceland, he was working on his second motion picture, “Loving You,” with “Jailhouse Rock” to follow. Elvis had various homes in the Los Angeles area and spent a lot of time on the road. 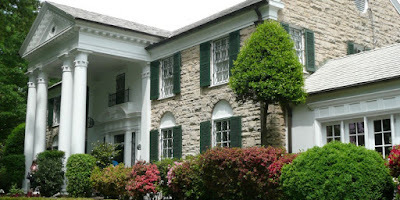 However, Graceland was always home base – a constant in the life of Elvis Presley. Today, you can tour Graceland and get a glimpse into the personal life of Elvis Presley. No matter our dwelling, be it a house or a condo, apartment building or duplex, the place we call home is our private sanctuary. 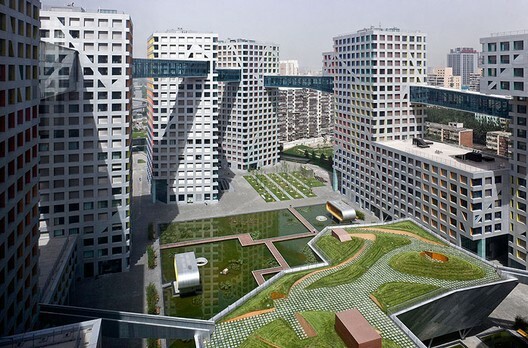 These apartment buildings around the world are some of the coolest out there. And, some lucky people get to call these buildings their homes! Let’s take a look at ten of the coolest apartment buildings on the world. The Kavanaugh Building is located in Buenos Aires, Argentina. The apartment building opened in 1936 after a two year construction period. The design of the building combines art deco and modernism, with a rationalist approach. There are a total of 105 apartments and the upper levels have exquisite terrace gardens with spectacular views of the city. Corina Kavanaugh was a 39 year old millionaire at the time the building was erected. She sold two ranches to build her own skyscraper. She lived on the 14th floor in the largest apartment for many years. The 14th floor is the only floor that houses just one apartment. 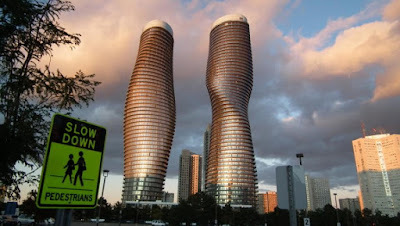 Absolute World, also referred to as The Marilyn Monroe Towers, is residential condominium twin tower skyscrapers in Mississauga, Ontario, Canada. 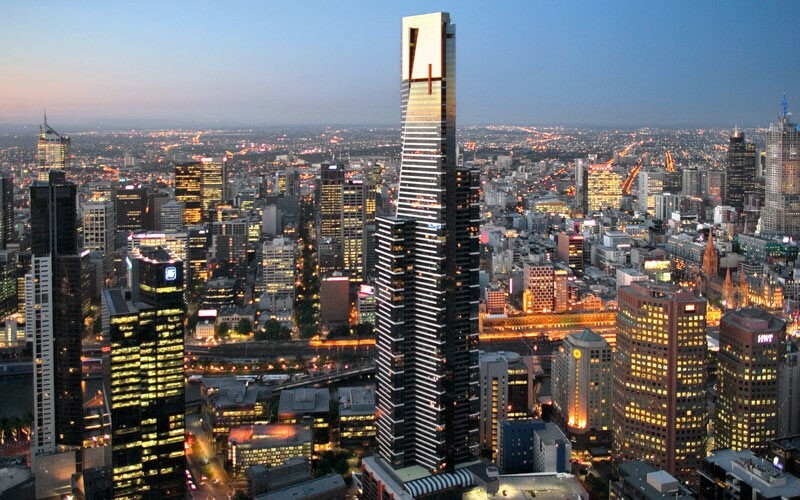 The final two towers were to be designed by the winner of a competition held by the city. Out of over 600 registrants and 92 submissions from architects around the world, six finalists were picked. Yansong Ma from Beijing, China, was announced the winner on March 28, 2007. The towers are very unique rotating towers and tower one has six levels of underground parking. Tower 1 has 56 floors and tower 2 has 50. Designed by UNStudio, this modern building was built in 2006 and completed by 2011. This building is sure to stand out from the surrounding architecture. When UNStudio designed this building they really took into consideration the direction of the winds that hit the building, so that they wouldn’t affect the environment. These two 15-story residential towers are located at the corners of Perry and West Streets. 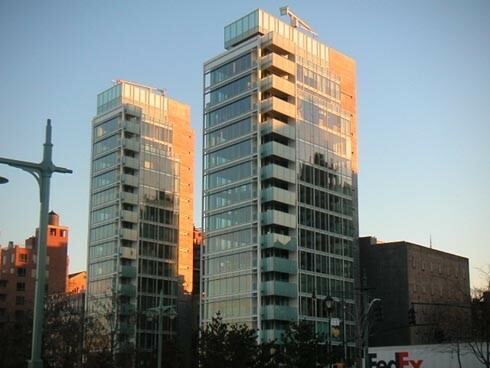 Designed by Richard Meier, they overlook the Hudson River and allow panoramic views of Manhattan and the New Jersey riverfront. Each floor is a single apartment of 1,800 square feet in the north tower at 173 Perry Street and 3,750 square feet in the south tower at 176 Perry Street. Perry West has housed a few well-known people, including Nicole Kidman, Martha Stewart, and Calvin Klein. This apartment building is named quite literally after its design concept. Designed by Steven Holl Architects, the building began construction in 2003 and was completed in 2009 when the doors also opened to the public. There are 21 floors in each building and a total of 2,500 inhabitants. Within the entire complex, there are 750 apartments, hotel, cinema, educational facilities, a kindergarten, and a Montessori school. Linked Hybrid has won several awards for its design. Not only does it look cool, it contains geo-thermal wells to cool in summer and heat in winter. This is one of the largest green residential projects in the world. This 31-story building located at 38 Scotts Road, Singapore, is another beautiful building designed by UNStudio. The building offers one, two, three, and four bedroom apartments with two different social areas. The building has also been said to be its own vertical city. 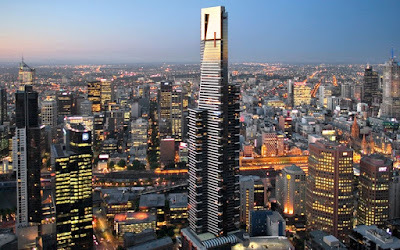 The Eureka Tower in Melbourne is a 91-story (plus one underground level) residential apartment building. 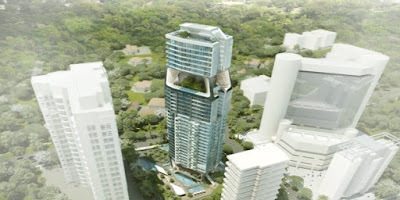 Construction began in 2002 and by 2006 they were complete and had a hefty price tag of $415M for the finished project. Fender Katsalidis was the architect for the tower and the coolest part of this building has to be the observation deck on the 88th floor called Eureka Skydeck 88. The Skydeck is a glass cube that hangs over the tower called The Edge. The Wave is a modern residential complex consisting of 115 luxury apartments spread out in 150,000 square feet of space. 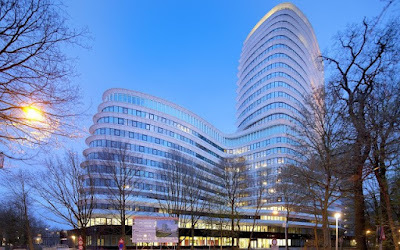 Designed by Henning Larsen Architects, it has won the prestigious architectural LEAF Award in the multiple occupancy category. It also won the annual Veijle Award in 2010 as Building of the Year. And yet another award in 2011 the project won at Civic Trust Awards. I’Park City has a total of 88 apartments. Construction began in 2008 and the residential apartments opened in 2012. 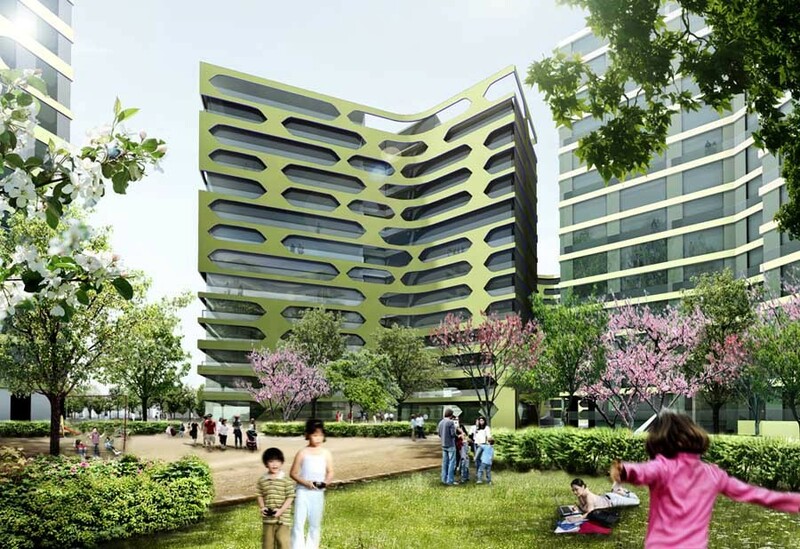 Another UNStudio design, this time the parcels were divided into a series of neighborhoods or zones. Each zone has a different name: City, Village, Field, Water, and Park are the names given to describe the different designs. Built in the shape of the figure eight, 8 Tallet is Danish for 8 House. 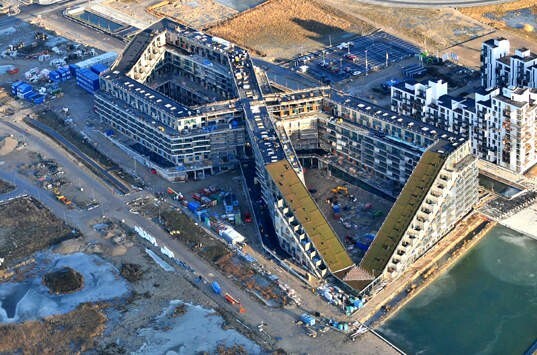 Designed by Bjarke Ingels, the building is mainly residential and about a quarter retail and office space. The apartments are on the top floors and the commercial spaces are on the lower levels. The concept behind this is that the commercial spaces are street level with people passing by and the residential spaces can benefit from the sunlight and fresh air. This is able to be because the shape of the 8 House is hoisted up in the northeast corner and pushed down in the southwest corner allowing light and air to enter the courtyard to the southernmost area. This design also allows for two courtyards. 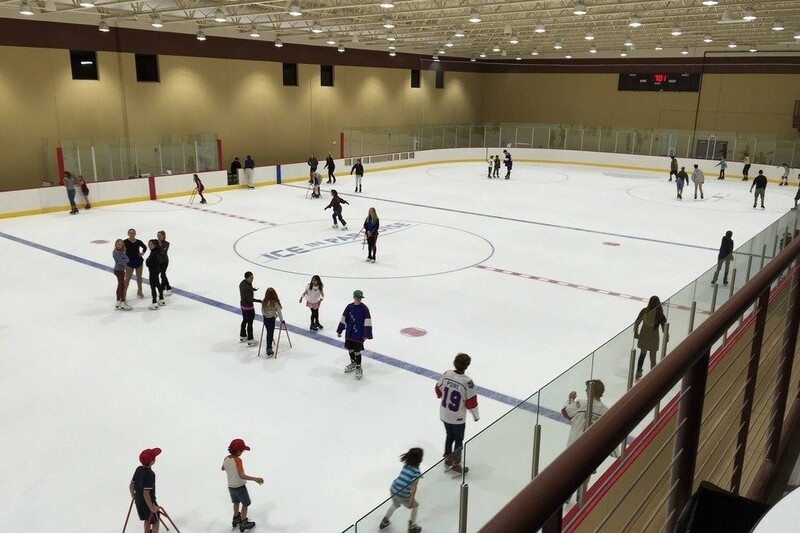 The building has won several awards, and we can see why! and its beach and golf resorts. There are over 100 different beaches and over 30 hiking trails. Word is you can find a three-bedroom villa with a pool for around £300,000. Or, if you’re more of the “oceanfront” kind of buyer, you could spend £6.2 million on a seven-bedroom home with gorgeous views of the Mediterranean. The largest island of Belize, most homes here are beachfront. 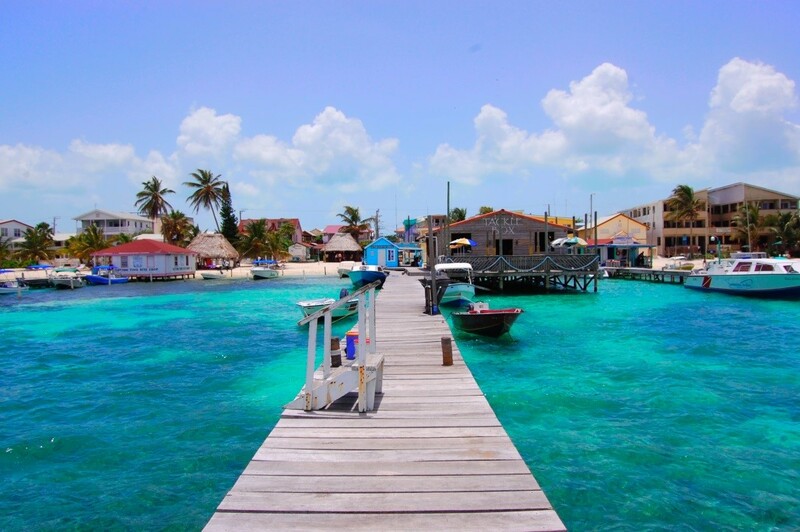 Ambergris Caye is a highly sought after destination for many real estate investors and vacationers. 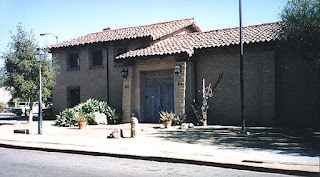 The museum is located at 136 East De la Guerra in the heart of historic downtown Santa Barbara, built in 1965 by the Santa Barbara Historical Society. It features relics from Chumash, Spanish, Mexican, Yankee and Chinese cultures, including artifacts, photographs, furnishings and textiles dating as far back as the 15th century. The Santa Barbara Mission was founded by Padre Fermin Lasuen on December 4, 1786, the feast day of Saint Barbara, as the tenth mission for the religious conversion of the indigenous local Chumash-Barbareno tribe of Native American people. 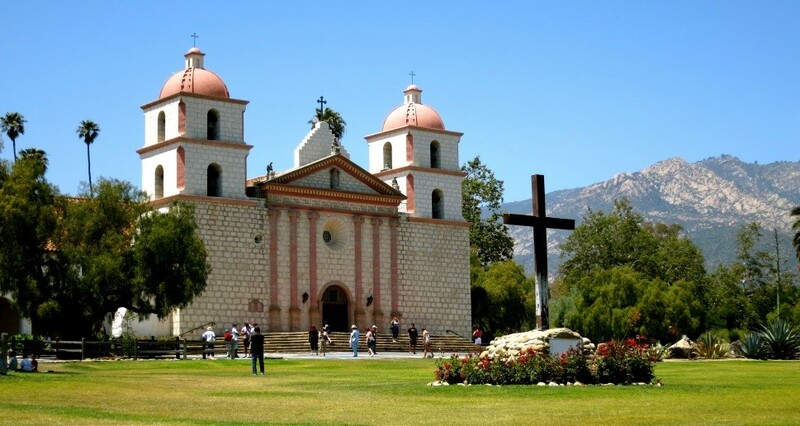 Today, the Santa Barbara Mission continues to serve the community as a parish church. It also contains a gift shop, a museum, a Franciscan Friary, and a retreat house. The grounds are a primary tourist attraction in Santa Barbara. The Mission is owned by the Franciscan Province of Santa Barbara, and the local parish rents the church from the Franciscans. The Santa Barbara Botanic Garden is located in Mission Canyon, Santa Barbara, containing over 1,000 species of rare and indigenous plants. 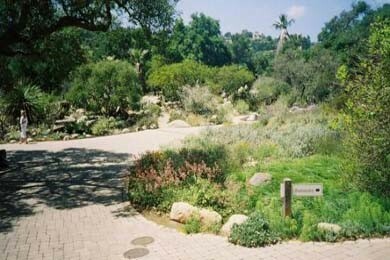 The garden sits on 78 acres and the purpose is the display California native plants in natural settings. There are about 5.7 miles of hiking trails within the garden. The Garden was founded by landscape architect Beatrix Farrand in 1926. There is a rock dam that was constructed in 1806 by Native Americans under the direction of the Spanish padres of the adjacent Mission Santa Barbara. The Garden became a Santa Barbara County Landmark in 1983. Part of the Botanic Garden was burned in the Jesusita Fire on May 6, 2009. Several buildings were destroyed by the fire and have not yet been replaced. Garden displays have recovered from the fire. The Santa Barbara Maritime Museum opened its doors in July 2000, inside the Santa Barbara Waterfront Center (formerly the Naval Reserve Building). There are many different events including lectures, tastings, celebrations, special gatherings, and private meetings and parties. 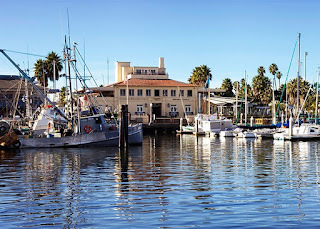 The Santa Barbara Maritime Museum also offers educational programs such as: Marine Science Program – For two weeks, about 400 children from elementary schools and after school programs participate, many of whom have never been out on the ocean or on a boat. Another program is the Tall Ship Program. This program allows students to spend the night aboard a tall ship living the life of an 1830’s sailor. They also offer a Science Night Program and a Book Club. The Karpeles Manuscript Library is the world’s largest private collection of original manuscripts and documents. David and Marsha Karpeles, California real estate magnates, founded the library in 1983. All of the Karpeles Manuscript Library services are free. 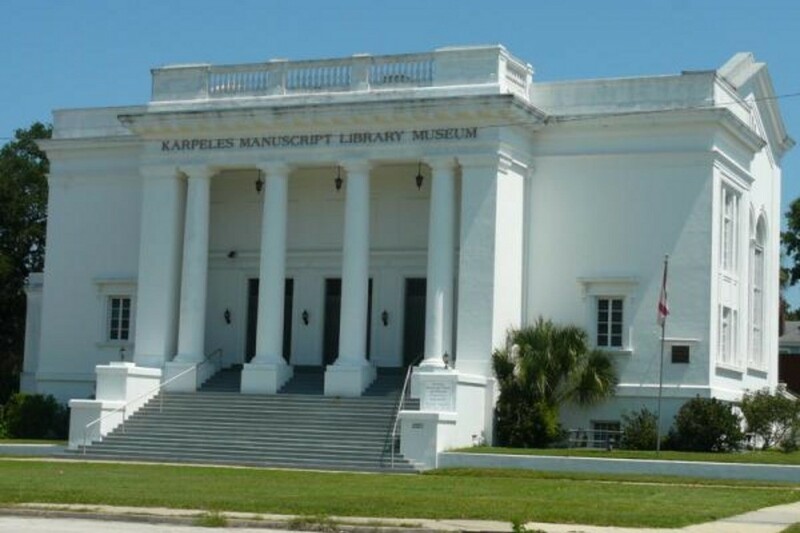 There are 11 different Karpeles Manuscript Library Museum’s around the US. The world’s largest private holding of important original documents and manuscripts is located at 21 W. Anapamu Street in Santa Barbara, California. 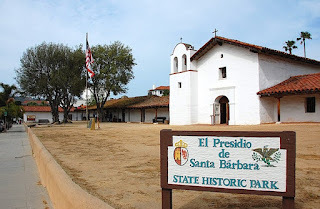 The El Presidio de Santa Barbara is a former military installation in Santa Barbara. The Presidio was built by Spain in 1782. 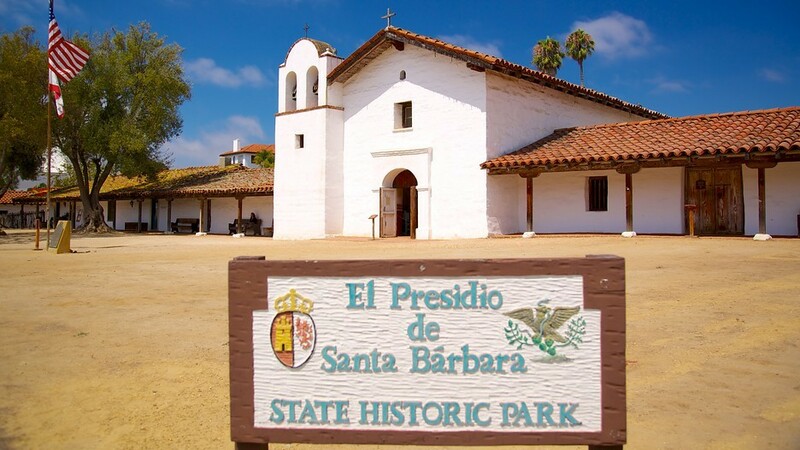 The park houses an original adobe structure called El Cuartel, which is the second oldest surviving building in California. The Santa Barbara Presidio was both military headquarters and governmental center of the region that is now San Luis Obispo County to and including the Pueblo of Los Angeles. El Presidio de Santa Barbara is located at 123 East Canon Perdido, between Anacapa and Santa Barbara Streets in downtown Santa Barbara. It sits across from the Santa Barbara Post Office. 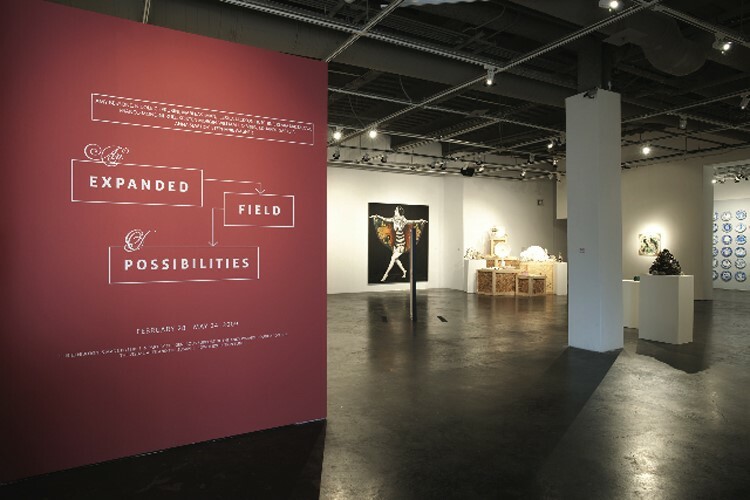 The Museum of Contemporary Art Santa Barbara was founded in 1976 by artists and supporters seeking a venue that was dedicated solely to contemporary art. There is no admission fee because MCASB believes that the arts should be accessible to all audiences of all persuasions. There are several different education projects put on by the MCASB which can be found on their website www.mcasantabarbara.org/learn. 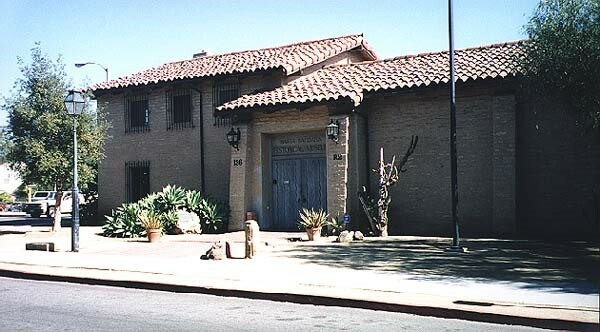 Casa Dolores, Center for the Study of the Popular Arts of Mexico is an art museum located on 1023 Bath Street in Santa Barbara, California. 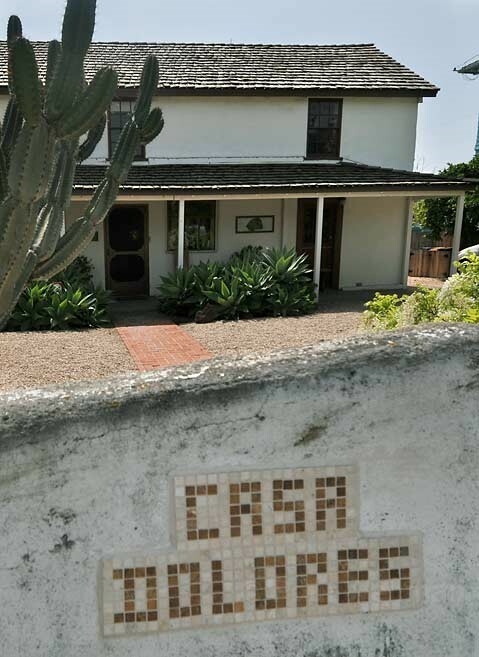 The museum is located in the Botiller Adobe house that was built in 1843, the oldest standing two-story adobe in Santa Barbara. The house was purchased by Linda Cathcart in 2007. The Museum houses art historian Linda Cathcart’s collection of over 6,000 objects in various media: clay, wood, ceramic, natural fibers, leather, paper, glass, clay, and tin. Some artists whose work is displayed include Josefina Aguilar, Teodora Blanco, Candelario Medrano, Abelardo Ruiz, Rosa Real de Nieto and the Linares family. The FORBES Global 2000 ranking of largest companies bases the scoring from equal measures of revenue, profits, assets and market value. The companies that made the list for 2016 spread out over 63 countries and together total $35 trillion in revenue, $2.4 trillion in profit, $162 trillion of assets, and have a combined market value of $44 trillion. Let’s take a look at the top 10 below. 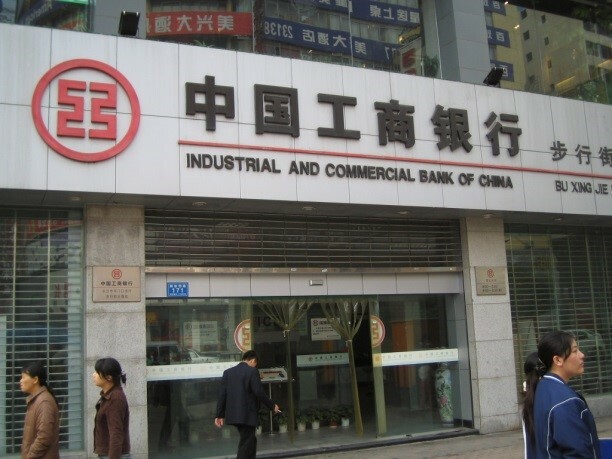 Founded in 1984 in Beijing, China, this is the largest bank in the world by total assets and market value. It also holds the number one spot on The Banker’s Top 1000 World Banks. As of 2014 there were 375,354 employees. They have branches in Paris, Amsterdam, Milan, Barcelona, and in 2008 opened a branch in New York City. 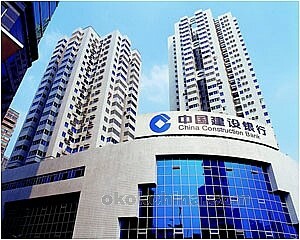 The number two spot is held by China Construction Bank, founded in 1954, also in Beijing, China. They have 329,338 employees as of 2011. In 2005, Bank of America acquired 9% stake in this bank for US$3 billion. However, by the end of 2013, Bank of America had sold its entire stake in the bank. 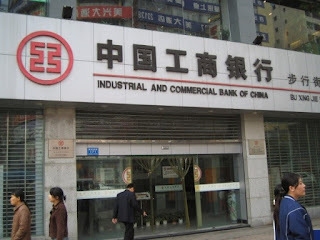 Founded 65 years ago (1951), in Beijing, China, the Agricultural Bank of China is one of the “Big Four” banks in the People’s Republic of China, along with number 1 and 2 on this list. As of 2012 they employed 444,238 people at their nearly 24,000 branches. Number four on the list was founded in 1839, 177 years ago, in Cumberland, Rhode Island. The company is known for Warren Buffett, who is Chairman of the Board, President, and Chief Executive Officer. Berkshire Hathaway employees 331,000 people as of 2015. The company started as a textile manufacturing company in 1839, and then ventured into the insurance world by 1967 when Buffett was in control. The textile operations were finally shut down in 1985. Today, the company wholly owns man well-known brands. GEICO, Dairy Queen, Fruit of the Loom, Helzberg Diamonds, and 26% of the Kraft Heinz Company, to name a few. They also have undisclosed percentages in Mars, Incorporated, American Express, Coca-Cola, Wells Fargo and IBM. The largest bank in the United States, and the world’s sixth largest by total assets is a bank many of us bank with regularly. 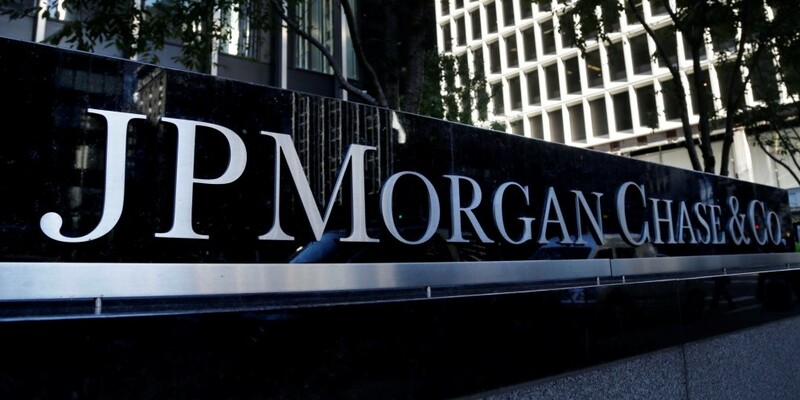 JPMorgan Chase was only founded 15 years ago in 2000. The number of people employed by the company in 2015 was 235,678. 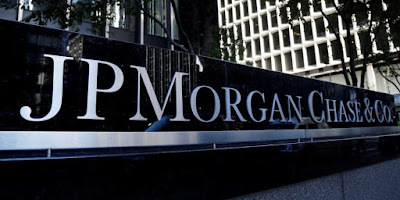 JPMorgan Chase is actually a combination of several other banks that you have probably heard of over the years, including Chase Manhattan Bank, JP Morgan and Co, Bank One, Bear Stearns and Washington Mutual. Founded in 1912 by the Republican government to replace the Imperial Bank of China, it is the second largest lender in China. 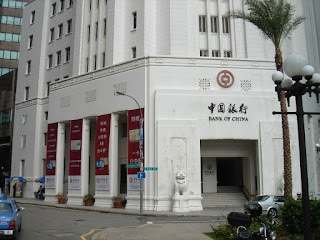 The bank is owned by the government of China and employees 305,675 people. Bank of China has two locations in New York, one on Madison Avenue, and the other on East Broadway. 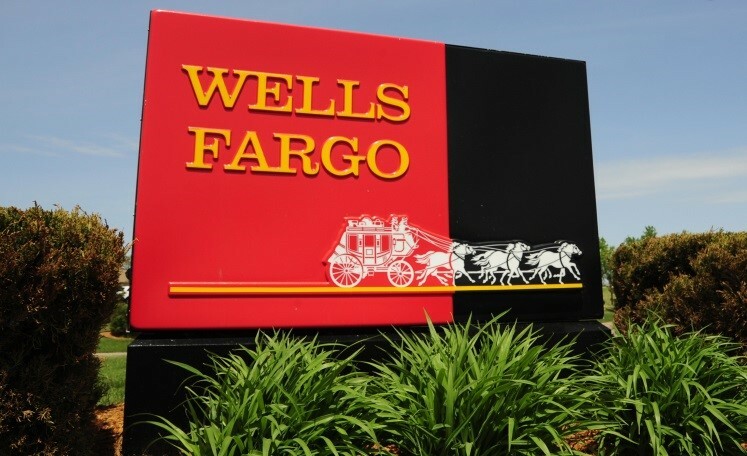 Founded in 1852 in New York City, Wells Fargo operates in 35 countries and has 8,700 branches. It is the largest bank in the world by market capitalization and the third largest in the US by assets. 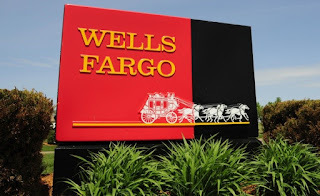 Henry Wells and William Fargo, also the founders of American Express, formed Wells Fargo & Company to provide banking services to California. William Fargo was also the Mayor of Buffalo, New York twice from 1862 to 1863 and again from 1864 to 1865. Founded in 1976 by Steve Jobs, Steve Wozniak, and Ronald Wayne, Apple has become the world’s largest technology company by total assets. Apple employs 115,000 employees as of 2015 and has 478 stores worldwide. The company had revenue of $233.715 billion in 2015. And, at the rate this company is going, they are sure to move up on next year’s list. Headquartered in Irving, Texas, ExxonMobil was formed November 30, 1999 by the merger of Exxon and Mobil. 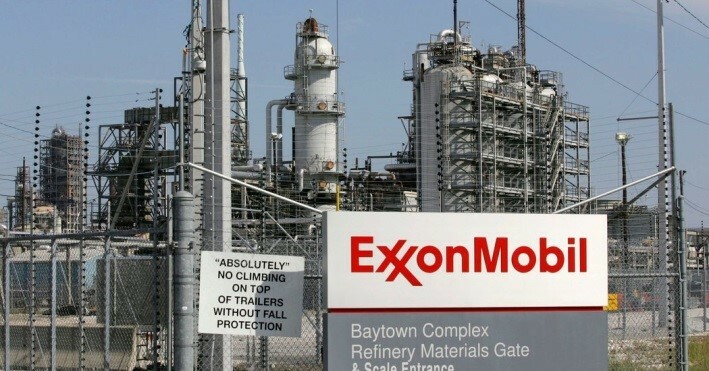 Both of these companies, Exxon and Mobil, were directly related to Standard Oil who was established by John De. Rockefeller. In 1998, when the new company was formed by signing a $73.7 billion merger, they were the largest oil company and the third largest company in the world. Now they are the ninth largest company and still hold the title of largest oil company. Toyota Motor Corporation was founded in Japan in 1937 by Kiichiro Toyoda. Toyota is the world’s leading manufacturer of hybrid electric cars. In 2015, the total revenue for Toyota was ¥29.79 trillion and 346,219 employees. Toyota is not only a car manufacturer. They also build robots and provide financial services through its Toyota Financial Services division. Today, Akio Toyoda is the CEO of Toyota Motor Company, a direct descendent of the founder Kiichiro.